A unique system of upholstered seats of considerable flexibility conveys Opera Contemporary‘s sophisticated design approach. 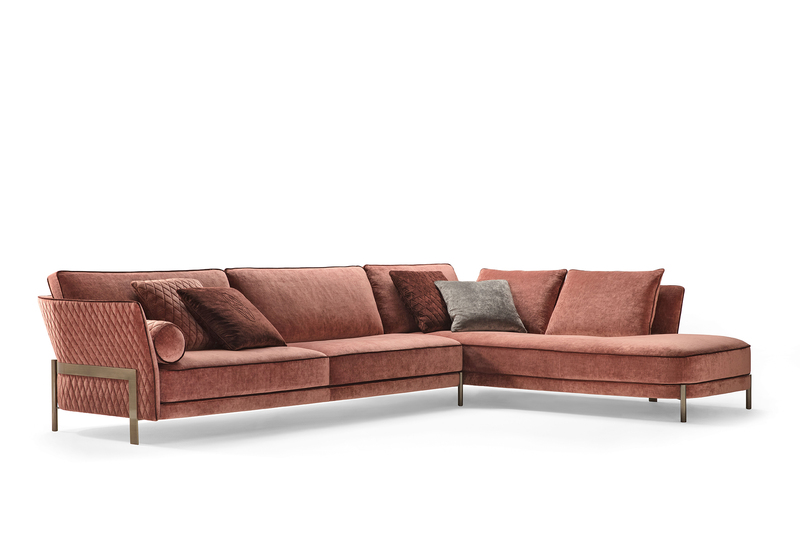 The refined Cosmo collection includes armchair and sofa – available in different compositions – that enhance the living space with an impeccable linear rigor. Essential features of the collection are the exclusive details that permeate the space dedicated to convivial moments with charm and broaden the appeal of the seats’ supple silhouettes in a dialogue between functionality and elegant appeal. A comfortable sofa with a strong personality takes pride of place in the new design concept for the living area. 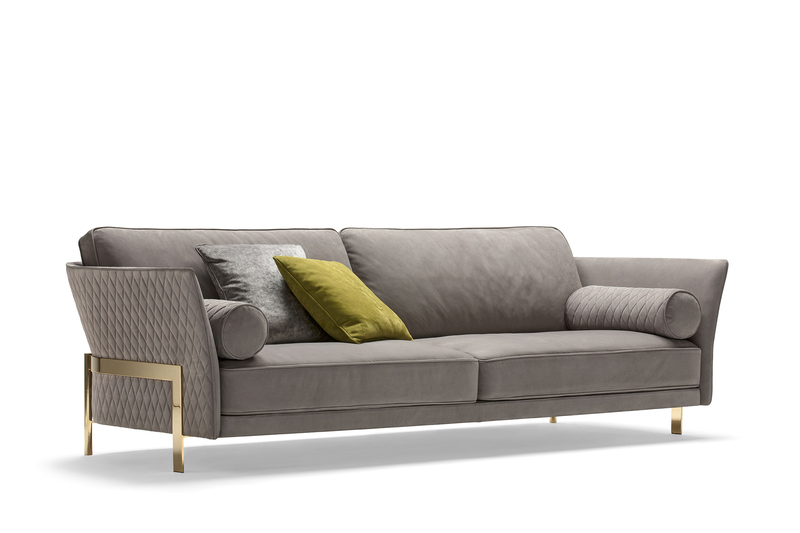 Elegant seams tracing a refined diamond pattern adorn the couch’s outer backrest that wraps the comfortable seats resting on a metal structure illuminated by the tactile glow of brushed brass. The new Cosmo seat revisit the enveloping charm of the tub chairs, by pairing the traditional concave shape of the back with a metallic structure placed externally to the body. 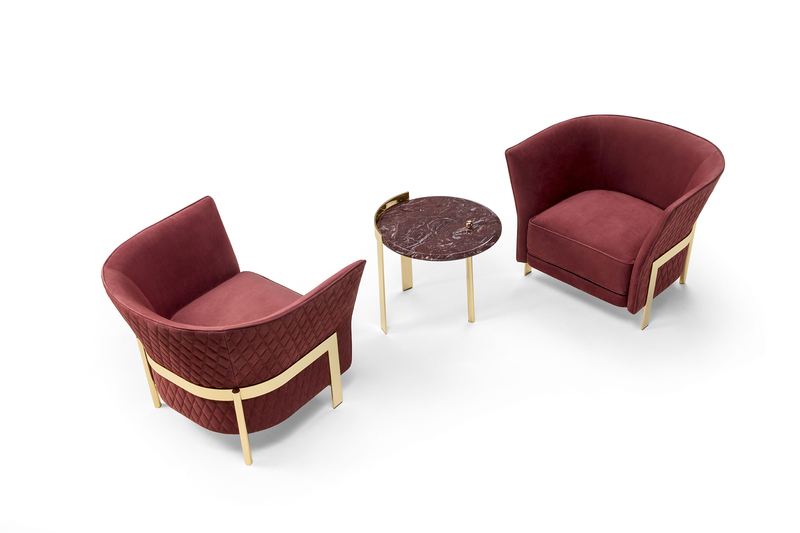 Sinuous profiles enhance the seat’s refined cosmopolitan soul, evincing excellent craftsmanship that marries the contemporary taste of Opera Contemporary.